Your picture turn into pop art splashing portrait ! Your cartoon picture, and you're the hero! 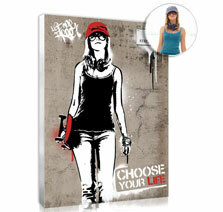 We suggest you a large choice of styles: the famous pop art portrait inspired by Andy Warhol, in classic or vintage style like Marilyn Monroe; The colored splash photo with the famous paints jets by the legendary artist Jackson Pollock; The portrait in manga style, ideal for japanising your child's or teen's bedroom; Or our artistic portraits from our top collection "Artist touch", a sober and minimalist creation; Discover also the surprising photo mosaic that will put back to life your old albums. 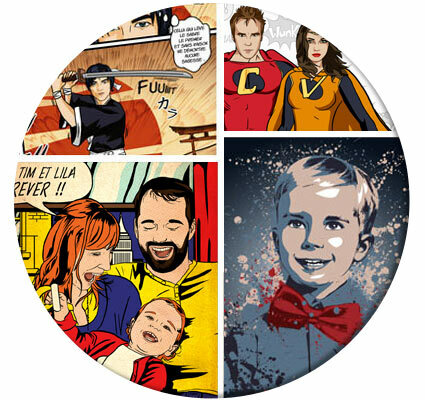 With "Votreportrait.fr", your photo becomes a real work of art! 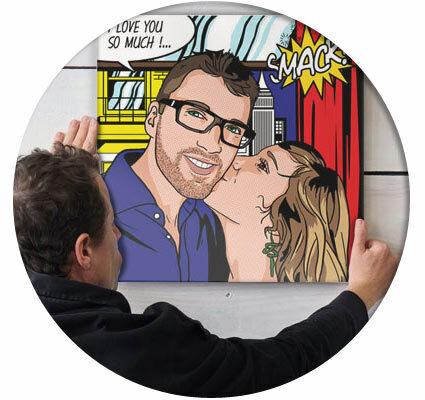 Bring a contemporary touch to your home decoration, or surprise your loved ones with a personalised photo gift. With "votreportrait.fr" you are sure to find an original and unique gift idea for each event of your life: Christmas, Valentine's Day, Mother's Day, birthday, and many other occasions to please or have fun. Benefit from our expertise in personalised portrait and graphism for over 10 years. 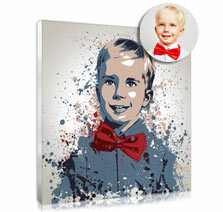 Our portraits are 100% customisable (colors, decorations) for an optimal satisfaction! Give us your most beautiful photo, our professional graphic designer carefully reworks it in your favorite style. Your custom portrait is made manually : we use a graphic palette, it's not an automated process. We print on a fine art canvas stretched by hand on a wooden frame or on a glossy photo paper. 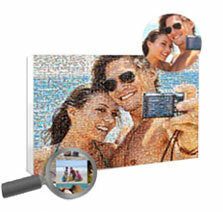 The printing of the personalised painting is artisanal and in high quality, with a reproduction of bright colors range. You can check our price list of our personalised photos depending on print media, size and style. 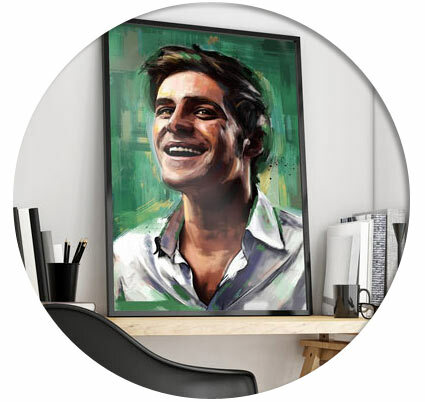 After ordering and choosing your options (size, support, number of faces), you will receive an overview of the creation of your customised portrait by mail. You can ask for modification until you are completely satisfied with the visual of your portrait. 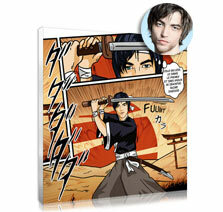 Then we print your personalised photo on high quality canvas or poster, and we send it to you. "How can I send my photos? ", "What are the delivery times ? ", "How to order my portrait?"... All our answers to the frequently asked questions. Our customer service is available to give you professional advice and guide you throughout the process. You are a company and you want to promote your brand in an original way ? We adapt all our products to your projects and your world. 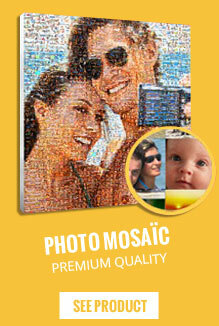 We can recompose your logo in photo mosaic of all your collaborators, we can create prestige gifts for your best customers, we can realise an original portrait for the employee of the month, or take design photos for your hotel decoration. Discover all our examples of personalised projects and contact us for a price estimation.